We can produce Poster & Canvas prints on the premises from any Memory card, Pen-drive (USB stick), CD, Negative, Print or Slide. 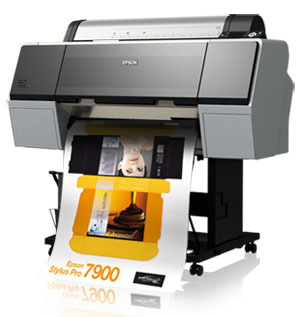 Because we print on-site, you will be able to discuss your sizes and requirements with the person doing the work. We generally quote a three day turn-around for the posters, but in some circumstances we can print them within the hour. We use FujiFilm Pearl paper with a weight of 290gms. The paper comes in a roll measuring 24inches wide by 50ft. Long. We like to quote two weeks for the canvas to be completed, although generally speaking they have been known to be ready in ten days. 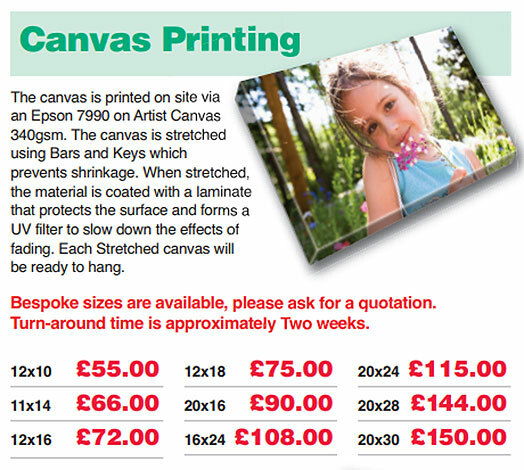 Although we print the canvas on-Site, the stretching and placing onto a wooden frame is done by specialist Andy Parks. Andy is a very well-known and established picture framer and has his own business in Buriton, Hants. Because we can print to any dimension (within our set roll-size) we will be happy to quote, but to make life a bit easier, we do have set sizes that will naturally fit straight into frames that we stock. 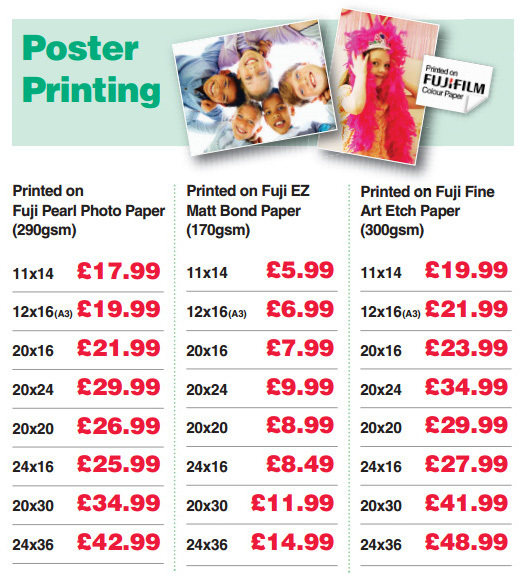 We have recently introduced a new budget poster service where we use a 170gms weight paper. This is ideal for those "One-Off" special events where it may be disregarded shortly after.